Phipps Street Burying Ground is one Boston's seven seventeenth-century burying grounds. Just after settlement, Charlestown's founding fathers designated the land, later known as the Phipps Street Burying Ground, as the town burying place. The site was originally bordered on the south and west by marshy flats, and an estuary of the Charles River washed up on the rear side of the hill. Years of land filling and urban-renewal activities have dramatically altered the landscape surrounding this site. Among the earliest burials were soldiers who fought in King Phillips War. In addition to the general citizenry, many contributors to the growth of our nation are also buried here, including John Harvard, whose library of 300 volumes was donated to start a college at Cambridge; Nathaniel Gorham, a signer of the Constitution and president of the Continental Congress; and Thomas Beecher, one of the first settlers of the Massachusetts Bay Colony. 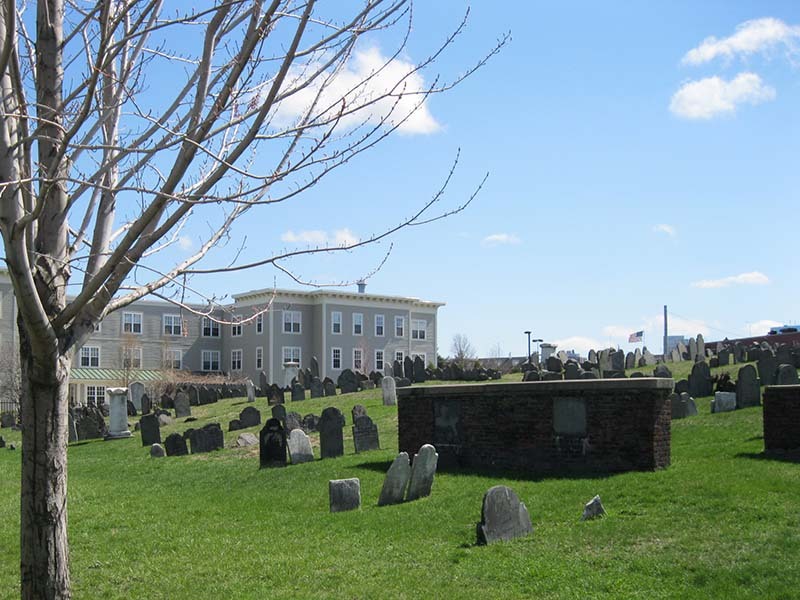 Some of the most influential Charlestown families, including the Frothinghams, Hurds, Harvards, Phipps, Russells, and Hunnewells, were laid to rest here. In the nineteenth century, many of Boston's earliest burying grounds underwent major "re-arranging campaigns," efforts which straightened gravestones into rows and aligned head and footstones. These campaigns were done in an effort to conform to nineteenth-century beliefs on the beautification of open spaces. The Phipps Street Burying Ground is highly unique in that the gravestones have remained in their original configuration. Another highly unique features is that Charlestown families were buried in small rectangular plots. 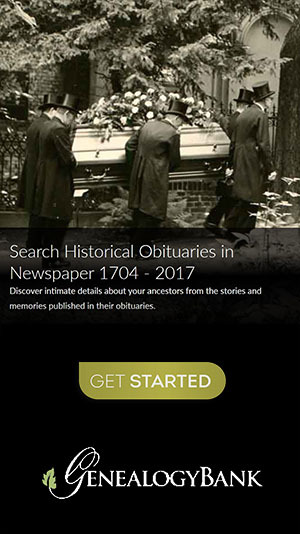 Records published below were acquired from the City of Boston's cemetery database on June 13, 2016. Austin, Sarah, Lot: J-67, d. "20, 1762"
Bodge, Henry, Lot: Q-28, d. "19, 1751"
Boylston, Richard, Lot: M-35, d. "25, 1752"
Clement, John, Lot: J-167, d. "22, 1762"
Darling, Abigail, Lot: N-106, d. "27, 1739"
Deverix, Sarah, Lot: N-2, d. "17, 1732"
Dows, Nathaniel, Lot: K-35, d. "17, 1713"
Frothingham, Lot: K-37, d. "21, 1787"
Hancock, Samuel, Lot: Q-22, d. "21, 1753"
Kidder, Elizabeth, Lot: K-106, d. "16, 1718"
Phillips, Alice, Lot: N-25, d. "16, 1755"
Phillips, Eleazer, Lot: N-4, d. "29, 1709"